Internet of Things: The Most Sustainable Business Model Ever? Is the Internet of Things (IoT) the most sustainable business model ever? Yes. And here's why: At its core, the Internet of Things is a business model that reduces waste and streamlines processes, promising to deliver greater value from a smaller amount of resources. “Sustainability is not just about running more efficiently or using less carbon. It’s about being able to sustain yourself in a future that’s going to be defined by disruption and change,” explains McGee Young, founder of MeterHero. What is the one thing that universally disrupted traditional business in the last century? The Internet. Well get ready, because the Internet of Things is the Internet -- optimized for integration with almost everything. Think about the progression: In the 1990s, 1 billion devices were connected to the Internet (mainly computers). During the 2000s, that figure jumped to over 6 billion, thanks to the development of the mobile Web and smartphones. 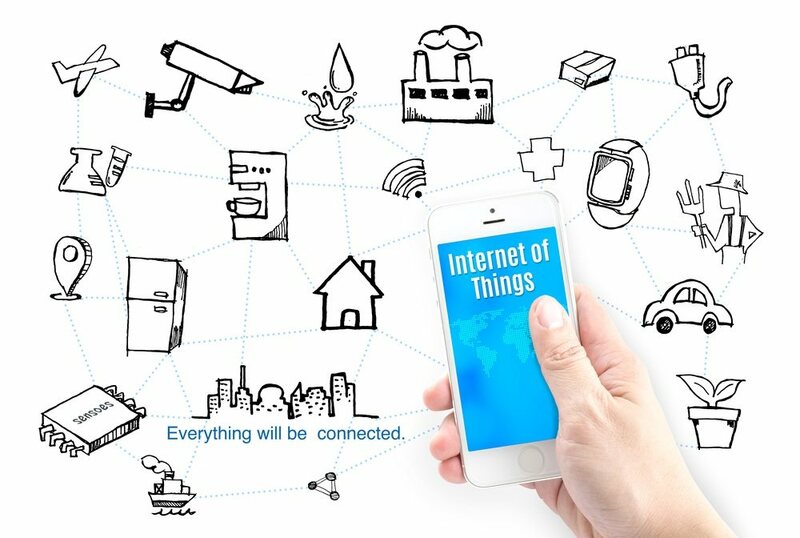 According to research by Goldman Sachs, in the next five years, IoT will bring over 28 billion "devices" online; within the next decade, IoT will power all business. "The value of the Internet of Things has very little to do with either the Internet or the things. Rather, the real value lies in harvesting and analyzing the data that all these objects generate, and in turning those insights into meaningful action," says Per Simonsen, the CEO of Telenor Connexion. This ability to collate, interpret and act on data is what makes IoT such a key concept in the global pursuit of sustainability. While the IoT is machine-to-machine technology, it is also an evolution of the Internet. IoT brings the Internet out of the computer and puts it into the real world. This merging of the physical and online worlds gives us not only greater control, but also greater insight into how our world works. With this new understanding, we can improve efficiency in all aspects of a business. Improved efficiency cuts out wasted materials, reduces energy use and helps eliminate wasted time, all of which equals greater sustainability. For the average business owner, the overarching concepts of the IoT may not affect your daily business immediately. However, many of its early products can and will facilitate stronger sustainability, no matter the size or scale of the business. All businesses should be actively replacing their old equipment with smart, energy-efficient devices such as smart thermostats, connected light bulbs, and intelligent plugs and sockets to cut down on wasted energy. Lighting, in particular, can have a huge impact, especially in large workspaces. Connected light bulbs can turn on and off automatically at pre-set times, or be paired with environmental and motion sensors so they operate only when needed. This type of smart lighting has the potential to reduce carbon emissions by a staggering 70 percent. However, the most promising potential impact of IoT on energy use in an office space is the ability for connected devices to talk to each other. IoT adds intelligence into a manual process, so those connected blinds can close automatically when the smart thermostat senses the room is heating up due to the sun and, if the motion sensor indicates the room is occupied, initiate a sequence to turn the smart lights on. IoT is basically sensors and smarts wrapped around a context. Sensors are tiny, powerful devices that can help take your business to the next level in sustainability. All businesses can take advantage of the power of these sensors, which have dropped dramatically in price, in both mundane and important ways. From installing motion sensors in meeting rooms to gauge how efficiently they are used, to the bottom-line transformative application of tagging inventory with sensors, IoT can propel your business to new heights. Inventory control is a huge component of the power of IoT in achieving sustainability for a business. Attaching sensors to goods allows for instantaneous updating and real-time tracking of goods in the supply chain. The data derived will help businesses match supply and demand, cutting down the need for warehouse space, decreasing waste, and reducing the need for the transportation of personnel and goods. Clearly, IoT is an emerging revolution in the business space. But if you can’t find the ideal application for your business, don’t despair. Thanks to the downsizing of technology, both in price and size, chances are that if you can think of a need, you can build a customized IoT solution to fit it. At the very least, you can transform the analog tools essential to your business into connected devices, simply by plugging them into a smart outlet. While small changes in your business may feel like indiscernible steps in the direction of global sustainability, they are not insignificant. Studies have shown that a global implementation of IoT solutions in energy, transportation, agriculture, buildings, manufacturing and consumer services could, by 2020, reduce global greenhouse gas emissions by 9.1 gigatons of CO2 annually, according to research by the Carbon War Room. That’s the equivalent of the current total emissions of the United States and India combined. Jennifer Tuohy is a tech enthusiast who provides insight about how the IOT can make your small business more sustainable. Jennifer gives advice on how to use home automation to make things smart. To learn more about home automation products for your business visit The Home Depot.